In delivering his judgement, Justice John ordered the four respondents, amongst them the Governor of Kaduna State - Nasir El-Rufai and the Nigerian police to pay the sum to Audu Maikori as damages. 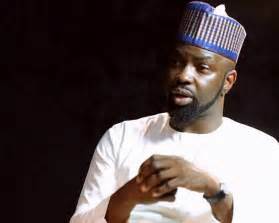 Audu Maikori was arrested in Lagos in February 17 on the allegations of inciting, after he posted a tweet about the killing of some Kaduna students by Fulani Herdsmen, a claim which was later found to be false. He apologised and deleted the tweet, but Police obtained later obtained a warrant from a Magistrate court in Abuja and arrested him in Lagos after which he was flew to Abuja. He was released on bail the next day. Justice Tsoho, the presiding judge, held that his detainment was unlawful, considering the fact the Police knew about his health challenges, and the action and detainment between March 10 - 13 was an infringement of his right to life and dignity. The judge further disclosed that the judgement was by no means interfering with the ongoing trial of Maikori in Kaduna.